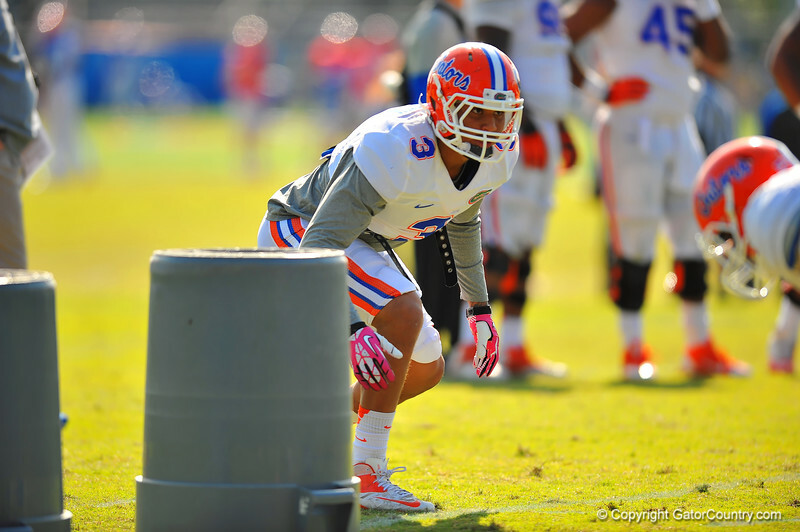 Gator LB Antonio Morrison lines up for the start of a drill during practice. Florida Gators Spring Practice 2014. March 26st, 2014. Gator Country photo by David Bowie.